The right keto snacks will make or break your diet. Difficult times will come sooner or later, the questions is: are you prepared? 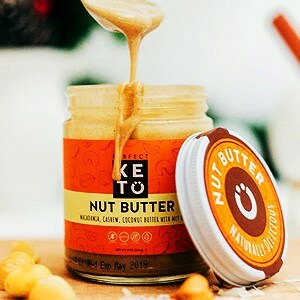 A delicious keto cookie or nut butter can save your day - not resulting in a full weekend carbfest binge eating contest. So keep low-carb snacks close by. It's like a life insurance, hopefully, you don't need it, but when you do then you will be happy that you have it. but it will be cheaper to order them bulk from online. If you have a sweet tooth, then this is can be the reason why it's hard for you to follow the keto diet. Especially in the beginning. The good news is that once you are keto-adapted, your cravings will go away and it's easier to say no to candy. PS! These snacks will also suit well into a keto gift basket! 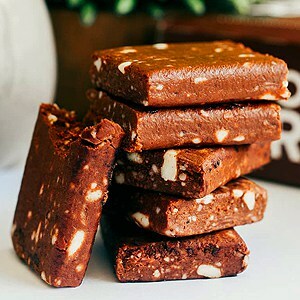 Here are my favorite fast and delicious keto approved sweet snacks. The most AMAZING keto friendly cookies out there. A classic chocolate chip cookie made specifically for low carbers and cookie lovers. Who said that you cannot burn fat and enjoy cookies? While many keto snacks only look good, this actually tastes good too. 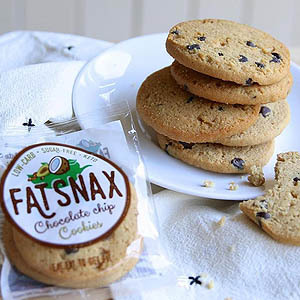 Fat Snax Cookies are sugar-free and contain 8-9 grams of healthy oils including MCT oil. They come in three flavors: peanut butter, chocolate chip, and ginger turmeric. This has been my secret weapon for a couple of months now, and now I am sharing it with you! Perfect Keto Bar is the KING of keto bars - it has only 3g of net carbs and whopping 10g of collagen protein. One bar has 19g of high-quality fats to keep you in ketosis. It’s made from almonds and cacao butter, coconut oil, collagen and touch of sea salt & stevia. Snack bars are often marketed as “keto” while packed with added sugar and chemicals - this is NOT the case. Perfect Keto brand is solely focused on providing quality keto friendly products that don’t knock you out of ketosis. Keto nut butter is the real keto treat. It's called the fat bomb that has a creamy texture, and doesn't knock you out of ketosis. The only downside is that you probably will be eating it with a spoon, straight out of the jar. Because it really is delicious. So please, be cautious. You still have macros to keep in mind. This is THE SNACK for your sweet tooth if you are starting to fall off the keto wagon, and starting to consider cheat meals. Don't cheat, don't eat carbs, eat nut butter instead. PS! Keep in mind that you still need to store it in the fridge. Yes, there is a keto friendly candy available, but don't go too crazy with it. It's no gummy bear but it will do the trick if you have MASSIVE sugar cravings. It's called the Life Savers, oh and that's it exactly is during keto. 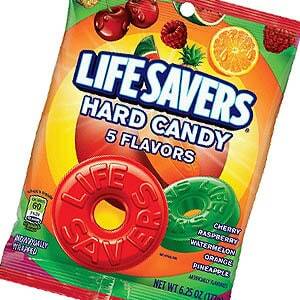 Life Saver is a sugar-free hard candy and it comes in 5 flavors. I don't suggest this to everyone, but if you truly are struggling with your sweet tooth then this is the treatment that helps you to push things forward. We have good news for all the chocoholics out there. YES, you can enjoy chocolate during the keto diet. Just make sure you are consuming high-quality dark chocolate with no added sugar. tastes like heaven thanks to natural sweetener called monk fruit. Of course, it's all natural, non-GMO, soy and gluten free and it contains ONLY 2 grams of net carbs. That's crazy. It's mandatory for any ketoer, who has a sweet tooth. The taste of Atkins bars has gotten waaay better over the last years. The texture is moist and chewy, some even found that it reminds them Snickers but not as sweet. But the best part is that it's packed with fiber, which you are probably lacking during keto. Atkins bars are keto friendly when eaten in reasonable amounts. A perfect treat if you are camping or just a quick snack before dinner. KNOW Better Cookies are our second favorite keto cookie brand out there. They are delicious and healthy alternative to traditional grain-based cookies. These cookies are soft and chewy. The KNOW Better Cookie has 3-6g net carbs (chocolate chip one has only 3) and 7g of protein. Wait, but how it can taste so good without sugar? The secret is Allulose - the natural keto sweetener. Allulose doesn't have an impact on your blood sugar nor insulin levels. Quest Protein Bars are one of the most popular snacks out there. It's actually pretty keto friendly - low in carbs and high in protein. 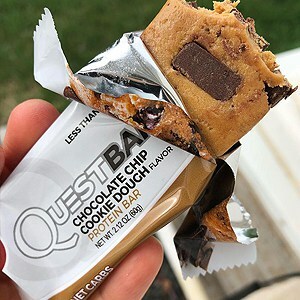 Quest bar contains a bit more carbs than Atkins or Choc Zero, but it's also packed with protein and you can buy it from almost any gas station or store. My favorite flavor is the Chocolate Chip Cookie Dough. It's awesome by itself, or you can also bake them into a delicious keto dessert or use as a breakfast treat. And last but not least from the sweet department, comes one more cookie, a peanut butter cookie. It actually tastes like a real cookie and it has a very soft and peanut buttery texture. 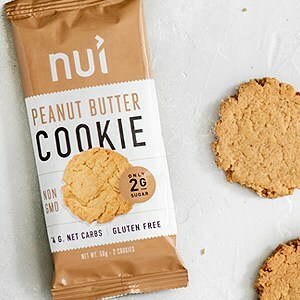 NUI cookies (formally known as Keto Kookies) use natural sweeteners like Erythritol and Monk Fruit for the sweet taste. 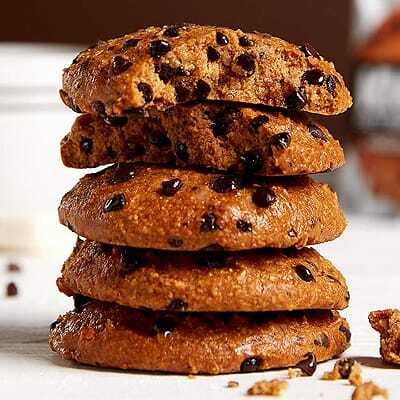 NUI cookies use a secret blend of almond and coconut flours packed with 6g of protein. 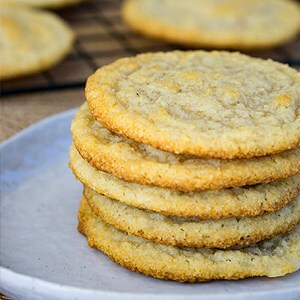 These low carb cookies are rich in grass-fed butter, coconut oil, and MCT oil. There are sweet tooths and salty tooths. But no one talks about the crunchy tooths, YES we exist. If you need a quick and easy lunch snack or craving for something crunchy late at night, then this is it. Here are my favorite crunchy treats that add some flavor to ketosis. A keto staple food for anyone low carbing. It's fast and delicious bite while you are on the run. 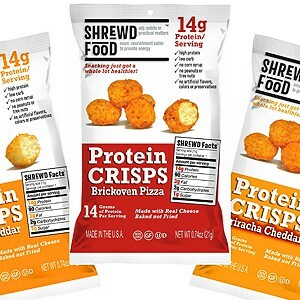 It's high fat, no carb - ideal keto diet snack, and the good thing about is that you can get it virtually from anywhere. Why Moon Cheese? 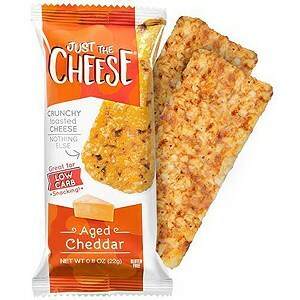 The manufacturer explains: We crunchify 100% natural cheese into the tastiest snack possible - at least on this planet." It's similar to cheese balls/buffs, just crunchier and without all the carbs. 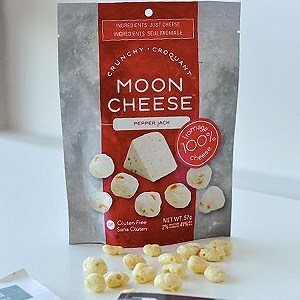 Moon Cheese is all natural, gluten free and excellent source of calcium. Yep, they taste as good as they sound. With only 4g of net carbs, its a perfect fix for crunchy cravings are ideal late night​ snack. 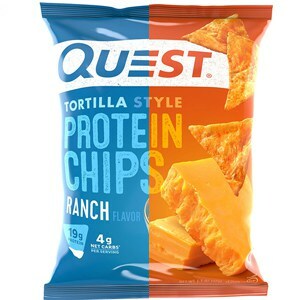 Quest Nutrition Protein Chips are also a perfect popcorn substitute an ideal movie snack. It's packed with protein and is potato free. The thickness and texture are similar to a rice-cake type chip with more flavor and very very little mushiness. It resembles real crunchy snacks without the guilt of cheating. What could be a better remedy for your crunch tooth than crackers? Julian Bakery knows the answer: low carb, crunchy, gluten-free organic crackers. This deliciousness is made from organic blanched almonds and organic seeds. One bite and you are hooked. 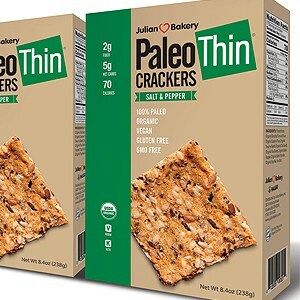 Julian Bakery thin crackers are perfect for all kinds of salads and even salsa. Serving size 6 crackers are only 5g of net carbs and packed with fiber. Pork rinds are perfect snacks to kill any kind of cravings. 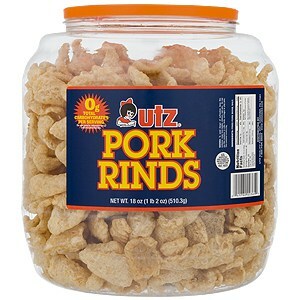 Utz Pork rinds are covered with a right amount of salt and taste great. Protip: If you want more taste then add popcorn seasoning to your pork rinds for extra awesome flavor. Pork rinds work also as a perfect gluten-free breading, just crush up some pork rinds and cover your meat before baking or frying. You can also use them in place of croutons in salads. Just The Cheese Bars are crunchy baked low carb keto snack, made from 100% of natural cheese. Each serving has as much protein and calcium as a glass of milk and is also gluten-free. The texture is somewhere between crackers, cheese, and keto cookies. Cheese bars are a tasty snack and if you haven't yet, then definitely try them out. We are living at a wonderful time. 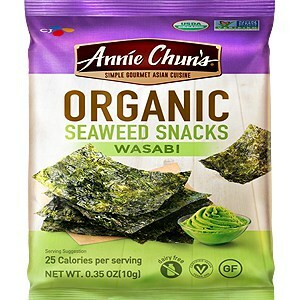 Seaweed snacks are a wonderful crunchy snack that will add some spice to your high-fat day. It's a savory Korean roasted seaweed bite and the best part is that one serving is only 30 calories. Seaweed snack is a perfect crunchy movie snack if you are tired of chips and nuts. Oh, and I forgot to mention, that it has ZERO NET CARBS per serving. Now that's a good snack! This is what you have been waiting for - the best popcorn substitutes. Keto should be easy and enjoyable and definitely doesn't meant that you should avoid movie theaters because you cannot eat popcorn. Here are some delicious keto movie snack ideas that are perfect for the cinema and works also well during a Netflix night. Nuts are perfect keto friendly snacks for anyone, but especially for people who are actively craving popcorn or candy. But which nuts to choose? Almonds, peanuts, walnuts, pecans, and macadamias are all great high fat, low carb keto friendly snacks when eaten in moderation. 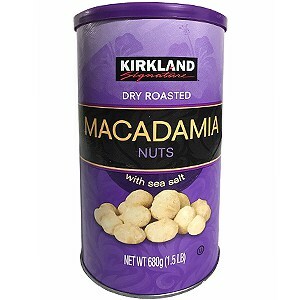 I really like Kirkland's macadamia nuts. The texture is buttery crisp and ideal companion for movies. Nuts are also high in nutrients, they contain a good dose of vitamins that are good for your health. And even the wastelands of health like gas stations have nuts, so they are pretty ideal keto snack. Keto friendly beef jerky is another keto staple. This is a perfect source of protein and is also low in carbohydrates. When choosing a keto friendly beef jerky, keep in mind that many brands will add sugar even to beef jerky, so keep your eyes open. 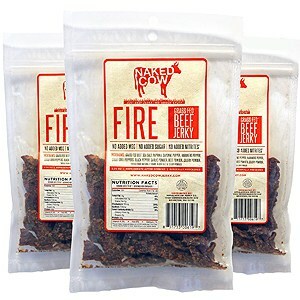 I prefer Naked Cow All Natural Grass Fed Beef Jerky, because it's made of all natural grass-fed beef, packs whopping 24g of protein and does not contain any artificial sweeteners. Oh, and it has 2-5 times more in omega-3 fatty acids, vitamin B6 and beta-carotene. Perfect keto companion fits well in the pocket and lasts for a long time. This is a fairly new keto snack for me. It seems that today you can make crispy snack from almost anything. But mighty protein puffs actually tastes really well and fits perfectly into a movie night out. It doesn't have any added preservatives, gluten or fillers. It contains only 2g of carbs and 14g of protein, which makes it pretty guilt free and savory snack craving. Good alternative to usual chips. Coconuts aren't your thing? Well think again, coconut chips are something totally different. During keto coconut oil is the ingredient for success, coconut chips are the chips for your movie night. 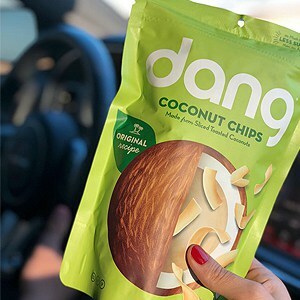 Dang Toasted coconut chips are unsweetened, gluten free and made from fresh Thai coconuts. It's made from the copra (coconut meat), sliced out and toasted with salt. It's also packed with protein and fiber. Protip: They go great with tuna as well. There are no words to describe my love for bacon and for this product - precooked bacon. Ah, what a time to be alive. No added sugar, fully baked and without any antibiotics. It's prepackaged bacon on the go, my mouth is watering while I write this. If you are doing keto, then you should definitely try this out at least once! Oh, it’s also perfect for anyone camping or traveling, as it doesn't need any refrigeration. Cacao nibs are the low-carb alternative to chocolate chips. They are as crunchy and way more nutrient dense. The antioxidants in cacao offer cellular defense against the effects of free radicals, improving the look of skin and promoting cellular repair and rejuvenation. The most awesome part about cacao nibs is that they come only with 0.2 grams of net carbs per serving. That's crazy low. 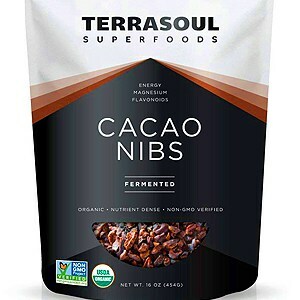 Protip: Cacao nibs work as a wonderful keto coffee creamer. Kale Chips are another great crispy keto snack out there, with the additional nutritional power of kale. 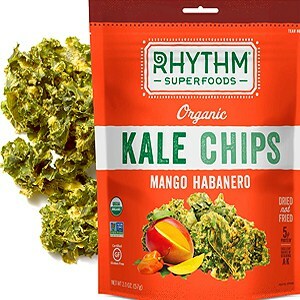 Rhythm Kale chips are always dried (never fried) which makes them a fresh and quick snack. I really appreciate just how labor intense this product is. Keep in mind that although it's delicious, it's very delicate, thank god it comes with an air-filled package. One serving comes with 4 grams of net carbs. Travelling can be stressful. Dieting can be stressful. Traveling while dieting is a recipe for disaster. 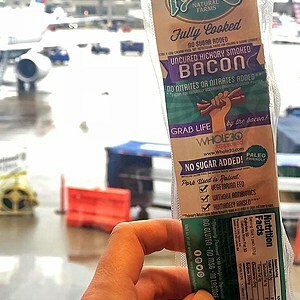 But worry not, because I have gathered all my secret low carb snacks together, so you can enjoy your next plane ride or camping weekend. These ideas are perfect even if your way of traveling is by car. Like you probably know by now, MCTs are the fastest energy source for your body and brain. During keto, MCT oil is a staple ingredient - it mixes well with different foods and makes your coffee bulletproof. 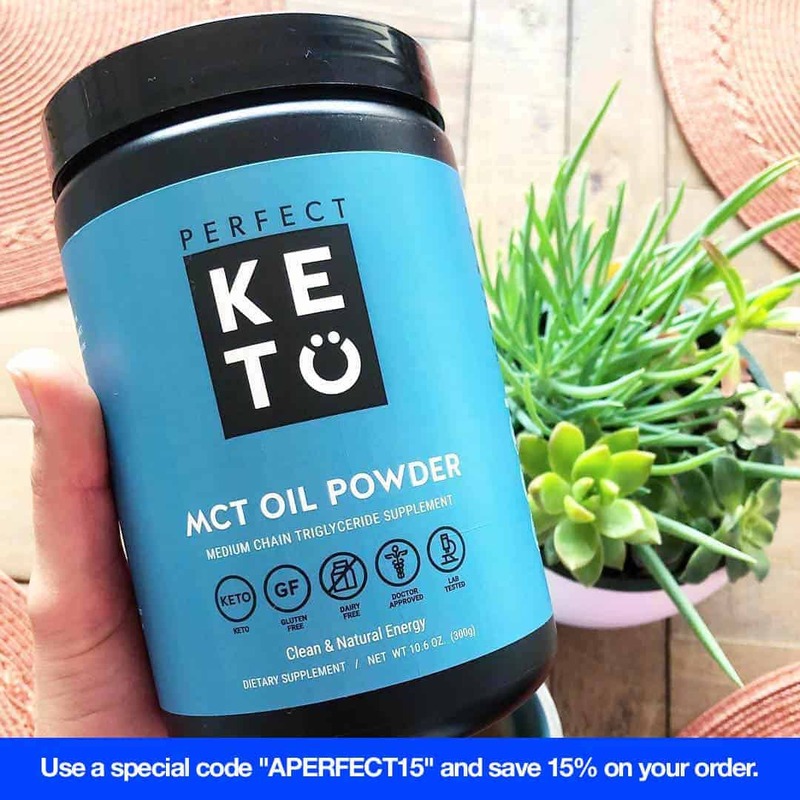 I love using Perfect Keto MCT oil powder, because the salted caramel tastes like heaven, and the powder form is best when you are traveling or constantly on the move. I am keeping one of these jars even in my car. Epic meat bar. It's 100% grass fed and a good protein source. In a compact package, a good travel companion that fits perfectly into your camping bag or travel jacket. It seems that Epic managed to succeed in balancing the taste and chewiness of this bar. Chicken sriracha is nice and spicy and bison has an interesting taste mixed with cranberry. 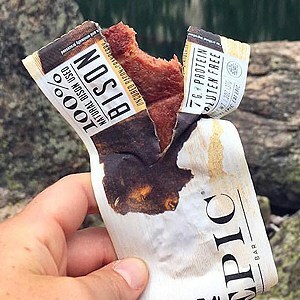 What makes meat sticks awesome snack is that it's just like beef jerky, but softer and often more flavorful. Most meat sticks tend to be sugar-free but always double-check the ingredients. My go-to meat stick is Nicks 100% grass-fed beef snack sticks which contain no antibiotics, soy or sugar. If you need more meat snack ideas, then check out our keto beef jerky guide. 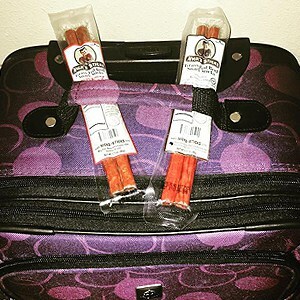 Nicks meat sticks are seasoned with Redmond Organic Seasoned salt. A quick bite that doesn't need any refrigeration and is lightweight enough to carry around with you until you need it. And they are surprisingly filling for their size. Nut butter doesn't stand out as a well-packaged snack, until now. I am talking about FBOMB nut butter fat bombs. They are awesome thanks to convenient travel-friendly and durable packaging. Perfect for hiking or a mid-day meal replacement. 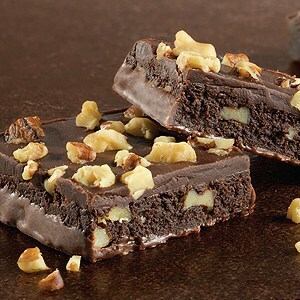 It's made from an all-natural blend of macadamia nut butter, organic dark chocolate, and a touch of sea salt crystals. 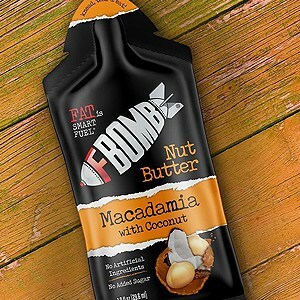 FBOMB is also the highest density energy source compared to other kinds of butter. This nut butter is the best high-fat snack out there. 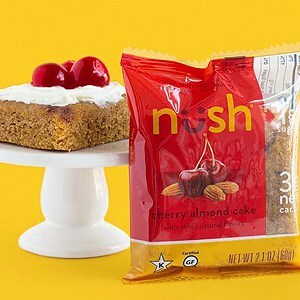 Nush has created low carb keto cakes. And they are as delicious as they sound. I'm so happy that we have finally a variety of keto cakes available. The texture is moist and very satisfying. I think they remind me more muffins than cakes, but after a dab of butter, I didn't really care anymore. They come in 6 flavors and I gotta say I liked all flavors. Each of them contains 2-4 grams of net carbs depending on the flavor. Although it's pretty low-carb, be cautious! By now we have covered everything from sweet to crunchy and well-packaged snacks you may need during your keto life. BUT, there are some of you, who want some variety but don't want those prepackaged snacks. You are craving for desserts. The good news is that there are several awesome baking mixes which make making keto desserts fast easy and delicious. If you enjoy baking and want to do things by yourself, then you can check out our keto approved low-carb flour guide here. Yep, that's right. 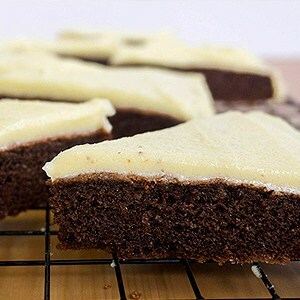 There is a quick and simple way to enjoy brownies (in a reasonable amount) during keto. 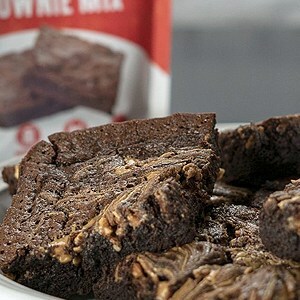 Lakanto sugar-free brownie mix will help you out. Just mix up the brownie mix with some eggs, coconut oil and water until well blended. Pour into baking pan and cook until toothpick comes out clean. This yumminess comes with 3g of net carbs and consists natural sweetener Monk Fruit. It's all natural and doesn't contain any artificial ingredients. The good news is that there are several keto friendly cookies out there. But there is another way, you can cook your own. Good Dee's sugar-free cookie mix is an easy and quick way to cook your own keto friendly cookies - with only 1g of net carbs per cookie. You just need a cookie mix, 1 egg, coconut oil, and some vanilla extract. Mix up the ingredients and split it into 12 pieces and throw it into the oven. It's simple as that. Good Dee's cookie mix is low carb, sugar and gluten-free, GRAIN FREE and vegetarian. There are many low-carb cookie mixes, but they often lack taste. I think Good Dee has nailed the taste department. And here is the last dessert - I couldn't believe that I will ever write this, but a keto chocolate snack cake. 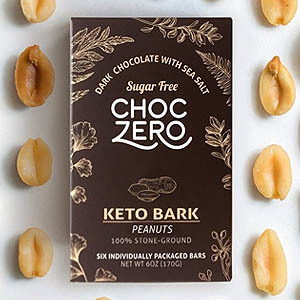 Good Dee is disrupting the keto industry. Once again have they created a delicious low carb and sugar-free cake mix with only 1g of net carbs per slice. You just need a cake mix, 3-4 eggs, coconut oil, and some vanilla extract. Mix up the ingredients and throw it into the oven. It's simple as that. 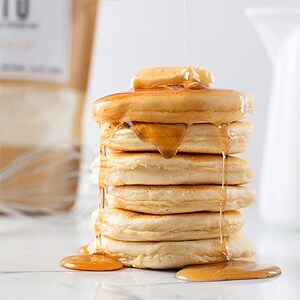 I was really surprised when I found this one, who knew that you can eat pancakes while keto. Bummer right? Nurture Me Nature is focused on creating low carb baking mixes. 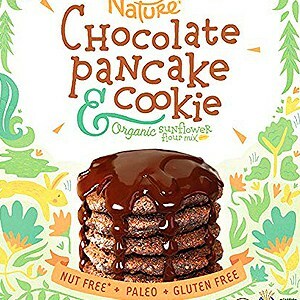 This pancake mix is gluten, nut, allergen, and soy free. The mix is based on seeds and is sweetened with stevia. The mix is sooo quick and easy to make, even if you are terrible at cooking. And the best part is that one serving of keto pancakes contain only 3 grams of net carbs. If ketogenic diet has been unpleasant for you, then this will definitely make your day. Another treat I never ever thought could eat during keto - waffles. Yep, you heard me right. This waffle mix is high fat, low carb and packed with protein. This keto friendly waffle mix is made with almond flour. It has a delicious buttery taste with a hint of nuttiness. The good news is that it contains 25 grams of protein per serving, no artificial ingredients, and no added sugar. If waffles are your thing, then this will be a perfect keto companion for you. Do you remember that sweet, red and wiggling dessert from your childhood? It was one of my all-time favorite sweet treats. Now I have a geed news for you, you can enjoy Jello with full-fat whipping cream during keto. That sounds crazy, but there's actually a zero carb Jello available. You need to try this! 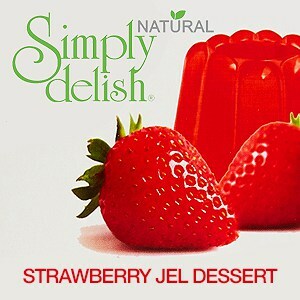 This heavenly act is done by Simply Delish Dessert Jel. And one serving contains 5 calories and less than 1 gram of net carbs. By now we have covered a lot of snacks for any life situation: from quick bites to keto desserts. But meals can get pretty dry sometimes, and with the start of keto, we also need to say goodbye to sweet sodas as well. This can be a deal breaker for many of us. Don't worry, here are some awesome non-alcoholic keto drink ideas if you are tired of drinking water all day long. There's no secret that Matcha tea has a powerful effect on our bodies. It contains 137 times more antioxidants than regular brewed green tea. 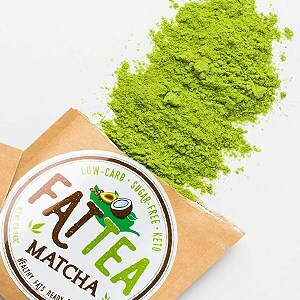 Matcha tea boosts metabolism, works as a natural detox, is rich in fiber (you will be lacking it during keto), enhances concentration and lowers cholesterol. Matcha is an awesome way to boost your health, no matter if you are following the keto diet or not. This blend is perfect for keto because it contains MCTs and only 1 gram of net carbs per serving. This will help you stay in ketosis and burn more fat. There are not many options available when it comes to low carb drinks. Fortunately, there is one beverage that is not packed with sugar nor artificial sweeteners. 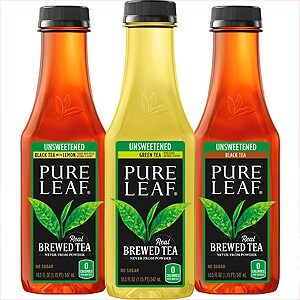 This iced tea is brewed from REAL tea leaves, has a natural flavor of lemon mingles and traditional taste of fresh brewed black tea leaves. One bottle contains only 10 calories and helps out with sweet drink cravings without the guilt. Not a classic drink, but a meal replacement shake. Why you should care? Because we use snacks when we are in a hurry or doesn't feel like cooking. Meal replacement shake does the same thing while provides additional nutrients and keeps you in ketosis. Formerly "Ketolent", now "Sated" contains only 3.5g of net carbs and has a smooth texture. 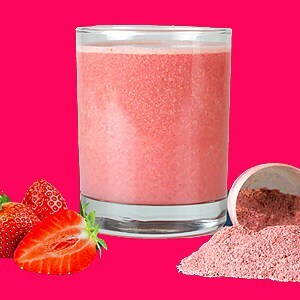 It contains a daily requirement of 27 vitamins and minerals and 18 grams of milk protein. It satisfies hunger fast while keeping you full longer. If you hate cooking or are constantly on the run, then this may be the perfect treat for you. 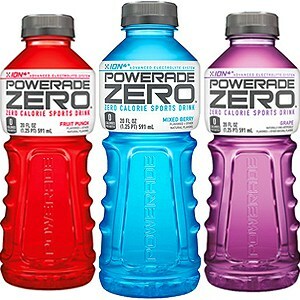 Yes, Powerade Zero is a keto friendly drink and no, it will not kick you out of ketosis. It does not contain any sugar or calories. Powerade Zero is a perfect keto drink that will support your recovery after a training. Now it does contain electrolytes, but it will not be enough for the keto diet. It contains enough electrolytes so you will feel better after physical activity but not enough to support your diet. But never the less it is a good juice alternative. The only downside is that its sweetened with artificial sweeteners like sucralose and acesulfame k. If this is not a dealbreaker for you, then feel free to add it to your keto regimen. 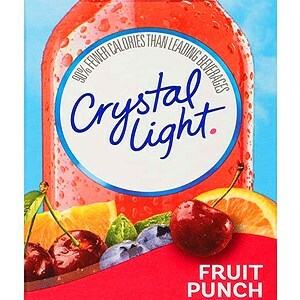 Crystal Light drink mix is a sugar-free alternative to Coke and Coke zero during the keto diet. It comes in convenient packets - just add to your bottled water and shake. If you cannot live without a juice or sweet sodas, then this is a good alternative to consider. The manufacturer claims that it contains no artificial sweeteners, flavors or preservatives and is naturally sweetened with stevia. The fact is that one packet comes with only 5 calories and no net carbs. 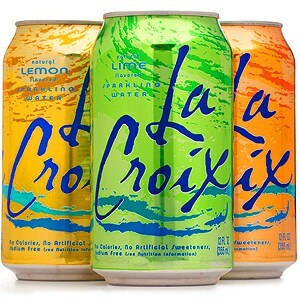 La Croix is a zero calorie and sweetener free sparkling water. It's another good keto alternative to fizzy sodas. The flavors are derived from the natural essential oils extracted from the named fruit used in each of the La Croix flavors. As you already probably guessed, the nutrition facts are also keto friendly. It contains zero calories and zero net carbs. Great info! Feel more hopeful knowing there are a lot of options available on amazon for keto . Thanks!